Home / Blog / Source Runners On the Move! Whether it’s with coworkers or family and friends — and we’re lucky enough to often have those categories blend into one another — Source staff are an active bunch. We have a lot of runners in our midst and already this summer they’ve been hitting the pavement at races across the country. On May 19th in Kelowna, BC, Source runners Christine Ainsworth and Rebekka Augustine participated in Shoppers Drug Mart’s LOVE. YOU. Run for Women 10k race. The event raised funds to support women’s mental health programs offered at the Kelowna branch of the Canadian Mental Health Association. Christine (pink top) with some of her running companions. 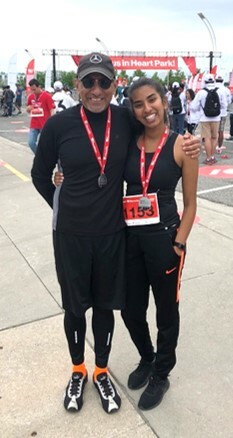 On June 3rd the Manulife Run/Walk/Ride for Heart took place on the Gardiner Expressway in Toronto, and Source’s Ontario Area Manager, Paul deSouza, joined his daughter Kirsten on the 5k route. In addition to the rare opportunity to take the Gardiner on foot, the deSouza’s were also grateful to be able to support a cause that has directly affected their own family. 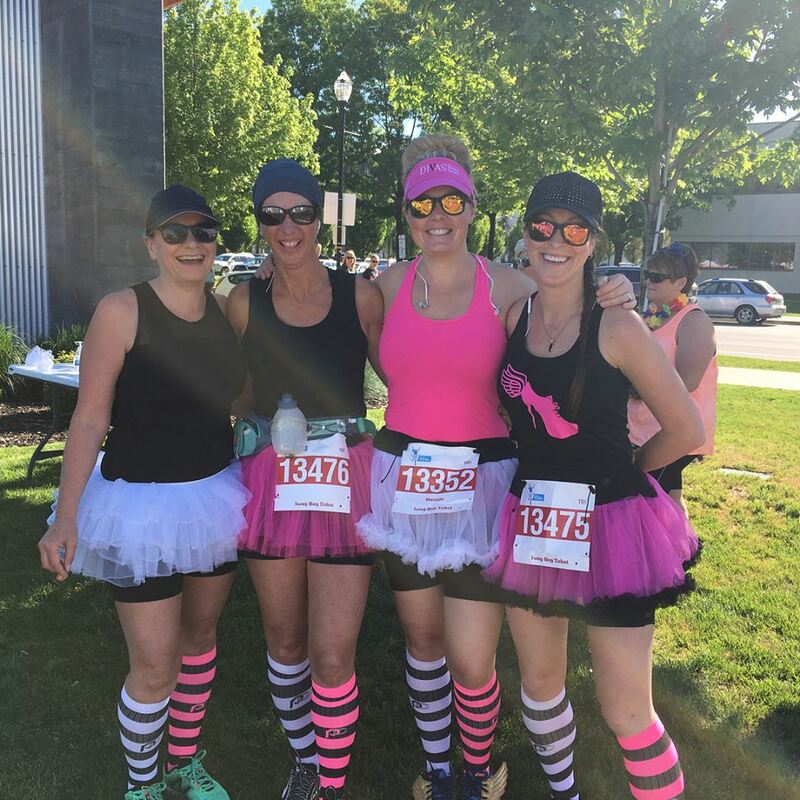 And on June 24th, members of the Source Kelowna gang joined one of their Calgary counterparts in that city for Calgary’s inaugural Run Like a Diva event. 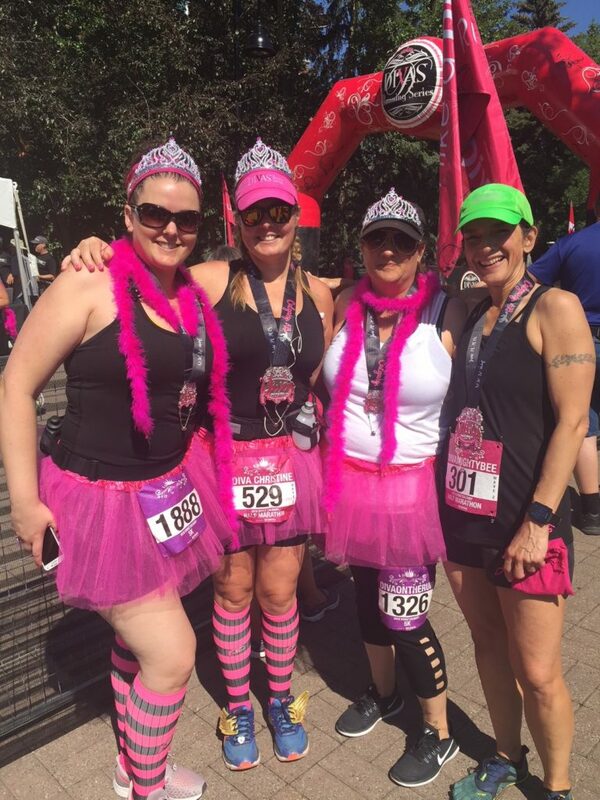 Angela Ross, Christine Ainsworth, and Rebekka Augustine from Source Kelowna, and Calgary store manager Kelly Gammel all channeled their inner divas as they tackled the 5k and half-marathon distances. The Diva race was very well attended and despite torrential rain for the two days prior, race day dawned clear and warm. They say the staff that plays together stays together, so here’s to more team events and supportive fun! Source Office Furnishings — Making Your Office [Run] Better!